A series of simple, lovely, making-memories crafting in the lead up to the Holidays. Finding your inspiration in the simple things. Loving your home whether it be by the Coast or blessed by snow. 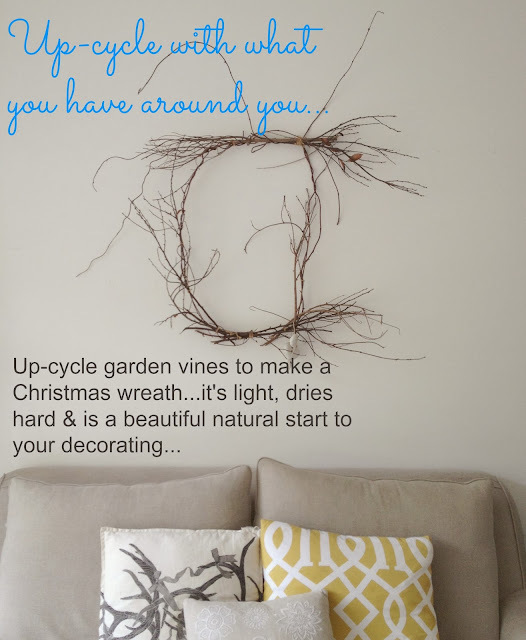 The Christmas wreath...we all have one~ and ours tends to remain on some wall all year in various forms! There are many many many cheap and cheerful wreaths in the shops at this time of year- the world over! They are pretty average up close...they say nothing about your home, or your family...and most get thrown out as the New Year kicks in, only to be re-purchased again the following year. As mad & dedicated gardeners now in this little beach house- I always often have a huge green recycling bin of garden offcuts- vines, branches, leaves etc. Now's the time to see these offcuts in a new light. 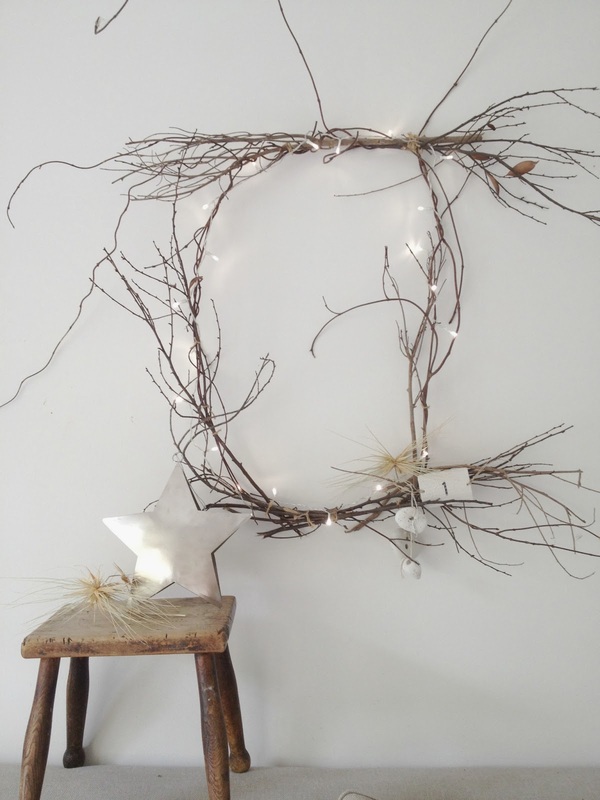 I made our large Christmas wreath here out of jasmine vines that needed serious pruning. 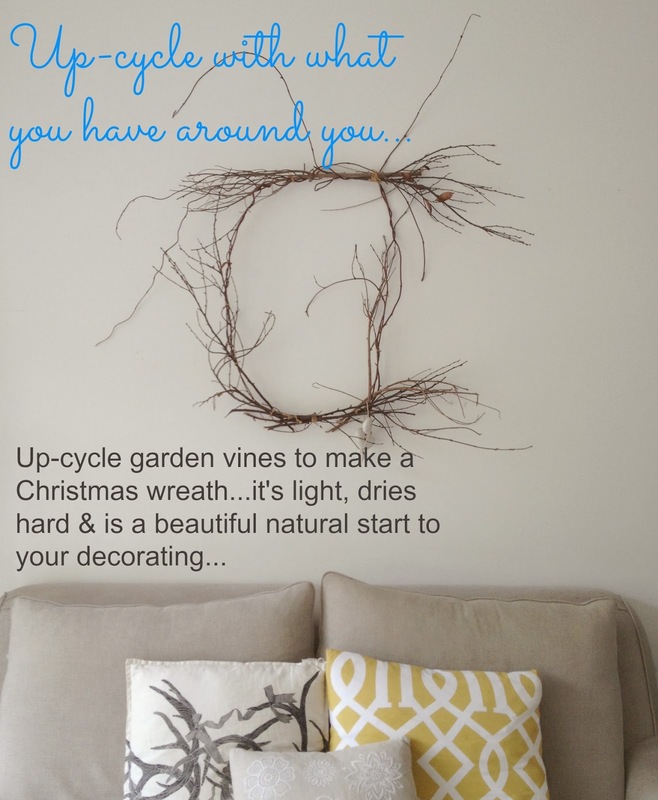 I twisted & gathered the vines in a ring whilst the vines were freshly cut- and allowed the wreath to dry out in the fresh air before banging another nail in the wall carefully attaching a hook to the wall & hanging it by our sofa's. The vines can be secured using very fine hardware wire or simply using smaller vines as ties to hold it all together. 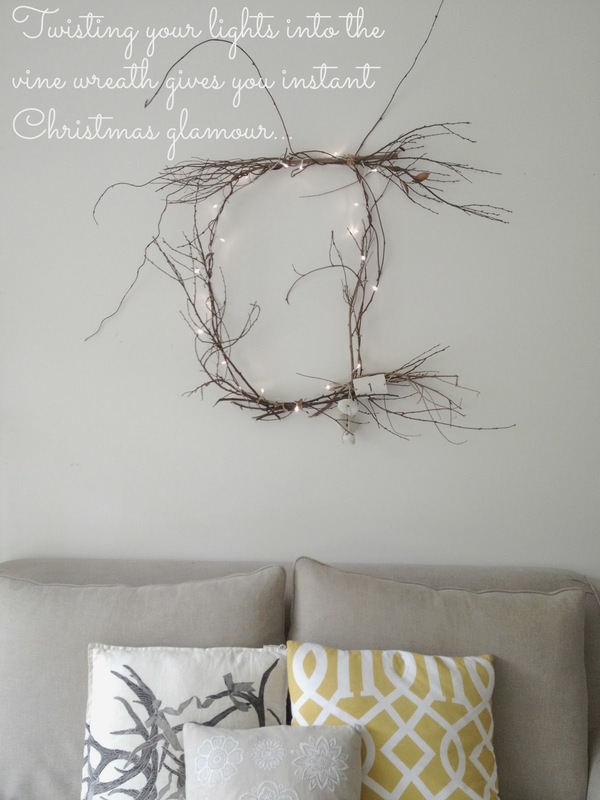 I can't tell you how simple & rewarding making this wreath is...nature inside the home for Christmas. 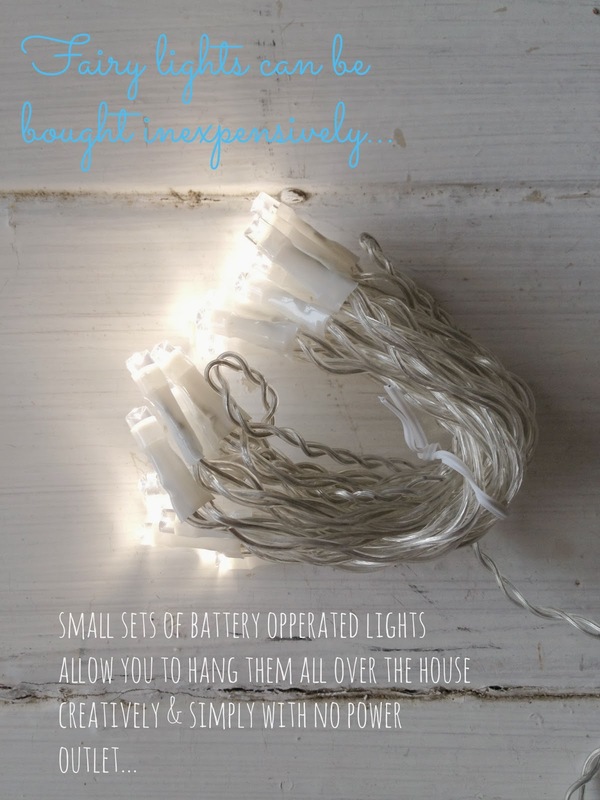 Nothing says Christmas for our family more than *fairly lights*. I can't imagine Christmas Eve without endless rows of them all over the garden & in many rooms in our house. Their voltage is low & electrical usage nothing. The smaller battery operated sets allow you to hang them in all those places that you don't have a power outlet. In the photos here- the battery box is blu-tacked to the wall behind the gorgeous french *1*, that was made for me by a bloggy friend, whilst we were living in England. Each home has it's own Christmas traditions...it's own people...it's own decor...this wreath can be loved for years by adding what makes your family happy over the holidays. 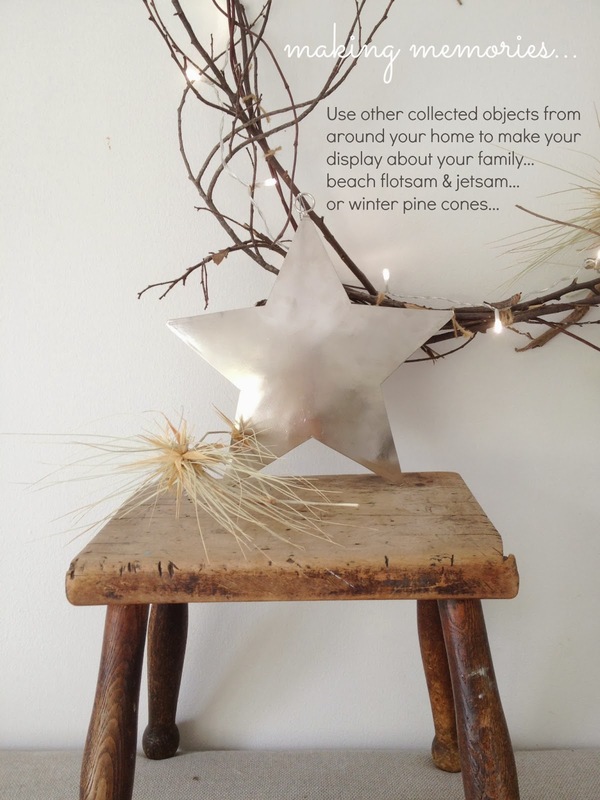 For my little family here by the Sea- fairy lights, stainless steel industrial decorations, a good whallop of blue & bucketfuls a good dose of flotsam & jetsam we've collected over the year around the world says Christmas. Get your Christmas Craft On. Cheeers to a Creative Heart for the Holidays! it's gorgeous i love it!! 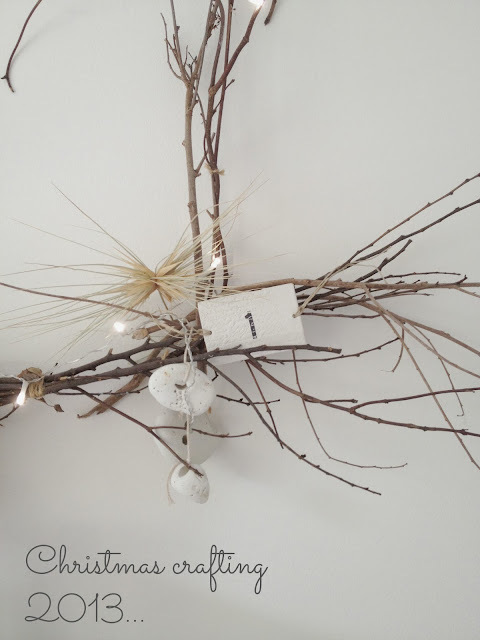 So simple but beautiful I love natural decorations from the garden perfect. Gorgeous! 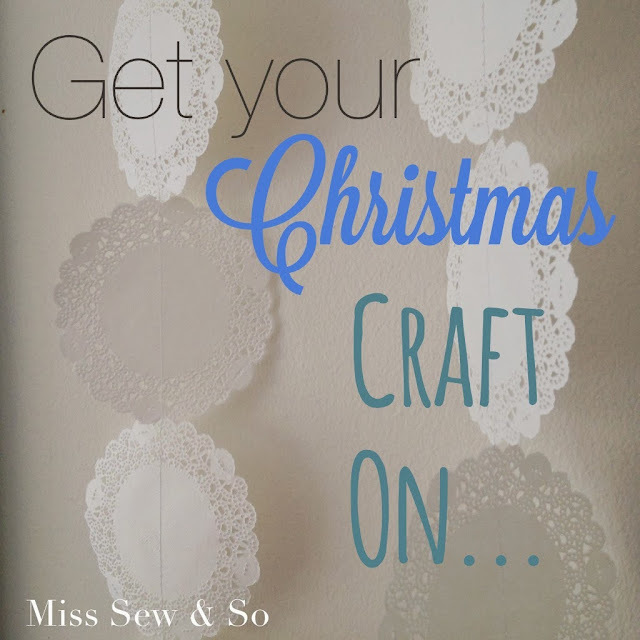 Looking forward to all of your Christmas craftiness!